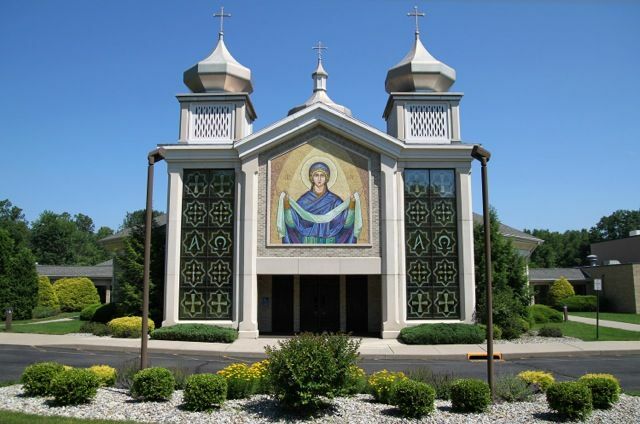 A warm welcome to St. Mary Byzantine Catholic Church. Whether through this web site or in person, here you will find a dynamic Byzantine Catholic faith community. I hope you find this site provides a "taste" of what we are about. These pages contain much more information about our church and our work together. We joyfully encourage all to come and worship with us at the Divine Liturgy on Saturdays at 4:00 (all English) or Sundays at 8:30 (all English) or 11:00 (English and Church Slavonic). When you visit St. Mary’s, we want you to know how welcome you are; whether you have come from another part of the country, from across the world, or simply from another parish. We hope you find our worship true and reverent and our people here friendly and cordial. If you are seeking a spiritual home, we would be honored by your presence in our family. For more information about becoming a parishioner, please see me, Deacon Alex or Deacon Nicholas. Please join us for coffee and donuts in the Fellowship Hall following the Sunday Divine Liturgies. Please know that you are in my prayers! Saturday 3:15 p.m to 3:45 p.m. If you would like to subscribe and receive our Parish News E-mail and weekly electronic bulletin, please register using the following form.